Question: Are there any registration fees? Answer: No registration fees at all. Question: Will there be any future charges by GymTarget.com for having my gym(s) on that website? Answer: No future charges at all. Question: Will it be possible to edit any of my details on my gym profile? Answer: Yes, it is an easy process to edit your profile. 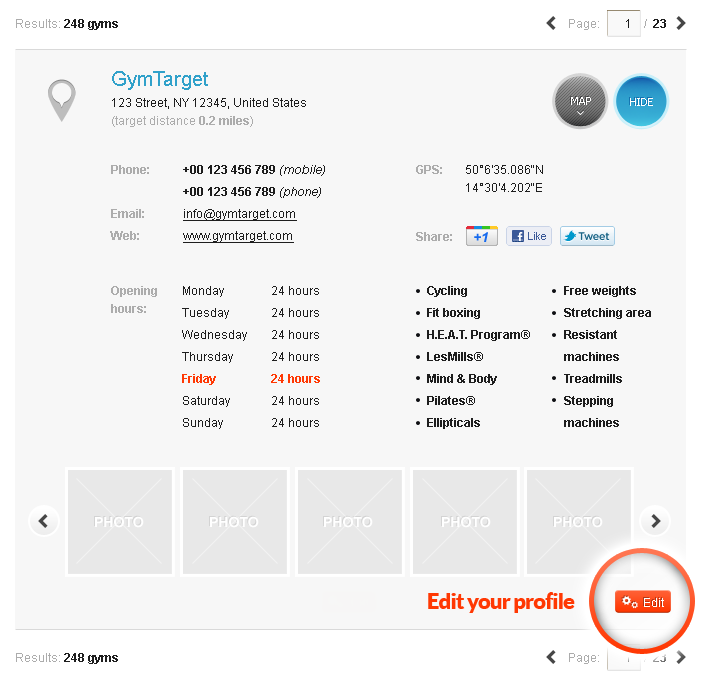 Copyright © 2011–2019 GymTarget.com®. All rights reserved. Brand names or trademarks on this website belong to their respective holders.